CESA will be hosting a Feast of Tabernacles from 13th October to the 21st October. First service is on the evening of 13th October. 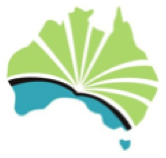 Christian Educational Services Australia (CESA) is a non-denominational service which seeks to spread the Word of God and the Gospel of Jesus Christ and support independent Christian groups of the same tradition. We are a non-profit association that consists of volunteers and remain unaffiliated with any religious organisation. We seek friendship with all who strive to faithfully represent the teachings of Jesus Christ recorded in the Bible. CESA provides a monthly worship service in Brisbane as a unique opportunity for Christian fellowship without regard to organisational bounds or membership of any kind. (1) to hold fast to the faith of Jesus Christ and the Commandments of God. (2) to respect one another in Christian love. Please feel free to join us to coffee, tea and light refreshments following services. We hope to see you there!